I want to make it so that you can see the contours of the face based on the shape of the eyes, however I need to develop a better method than what I'm using, since it doesn't really take the angle of the eyes into account well enough. 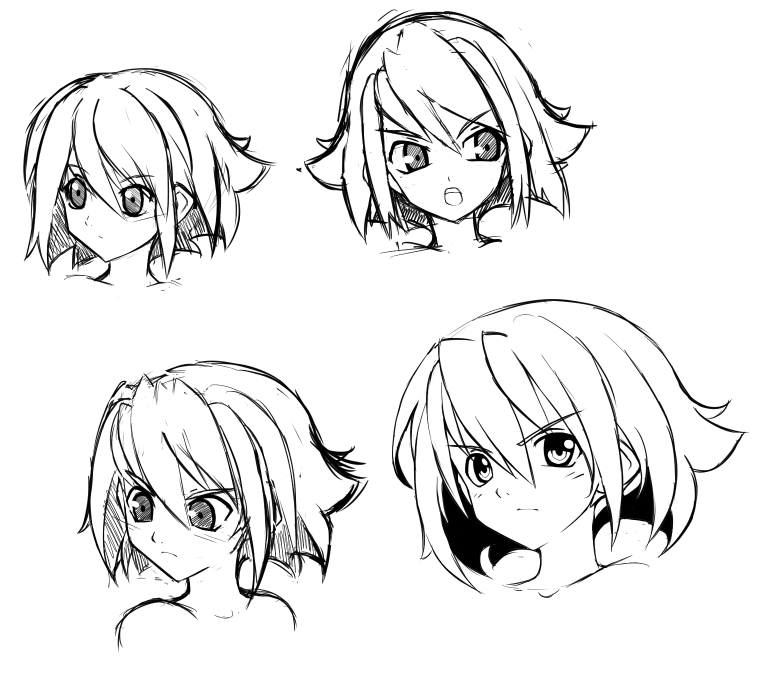 You can see that the shape of the eyes works in the last picture because of the way they arc, whereas in two of the other sketches, they conflict with the shape of the face a bit too much. I guess I'll practice that tomorrow. The other problem is that my current method of drawing the face often makes me end up with something I have to tweak a lot. I want to come up with a method that gets me to that result in the first place, so the next time I do sketches perhaps I'll do the initial guidelines, make adjustments, and then draw guidelines over the result, to see what would have brought me that result in the first place. 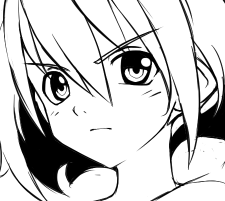 I kinda really want to see Ryuko Matoi drawn in your style now. Now when you say it, the mouth is really dislocated, lol. But the top right one looks pretty well. The problem with the eyes isn't that bad IMO. Well, maybe tomorow you will solve the problems. Loving hearing from you everyday. I check your blog twice a day and worry terribly that you're ill again or something when you go quiet for even a few days.